X -ray cable is mainly used to transmit x-ray tube Yin-Yang two- level high voltage and filament heating voltage. 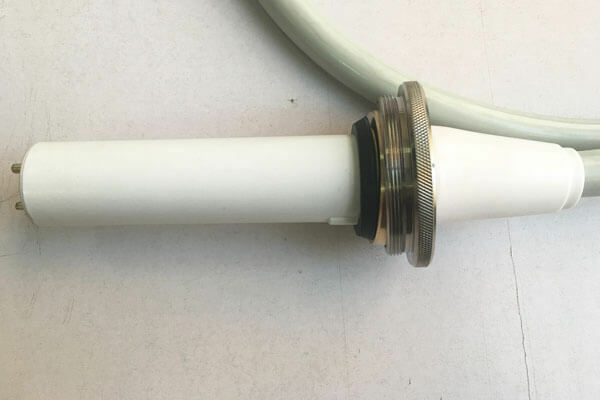 Both ends of the X-ray cable are equipped with high-voltage cable connectors, which are respectively connected with the high-voltage generator and X-ray tube equipped with high-voltage socket. X -ray cable is divided into coaxial high – voltage cable and non – coaxial x-ray cable, its structure from inside to outside successively for conductor conductor, high – voltage insulation layer, semiconductor layer, metal shielding layer and protective layer.The cathode cable has three cores and two cores, which are used for bifocal and single-focus X-ray tubes, respectively. Newheek x-ray cable can meet your needs.